It's different for every woman. Marriage and pregnancy—especially these days—don’t always come as a package deal. For some, getting married is the right decision; for others, it’s far from it. The point is, it’s different for every woman—and that’s okay. 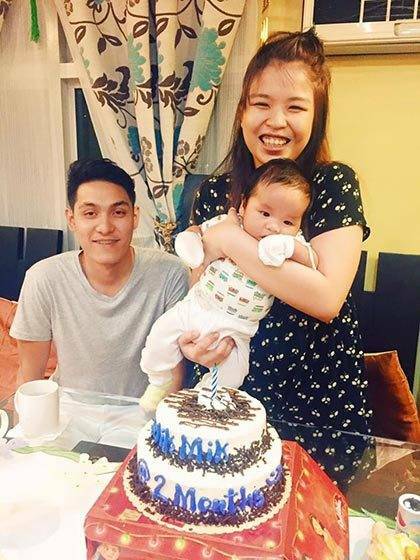 Lelaine D. Tan, 30, is a nurse at Philippine General Hospital and the mom of a two-month-old baby girl. She just tied the knot with her partner last July. "We were already planning and preparing for our wedding when we found out that we're pregnant. Our baby was unexpected but wholeheartedly accepted. We eventually realized that it was actually the right time for us. Now, we couldn't be happier with our little Lennon—our blessing before the wedding who brings great joy to our marriage." 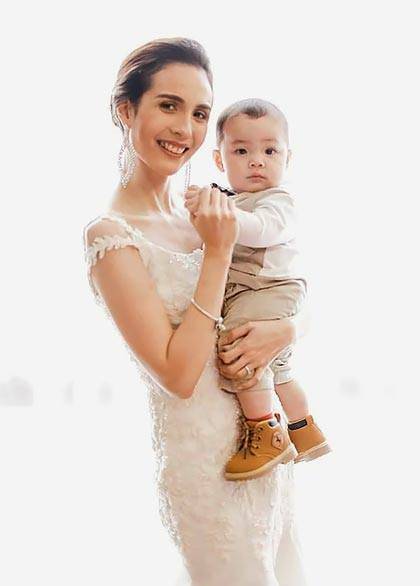 Francine Loise V. Karagdag, 24, is a stay-at-home mom to an eight-month-old baby boy. She got married to her partner just last November. "I came from a broken family—my parents aren't married, and I haven't seen my dad for so many years. Siyempre, as a mom, ayoko naman na ganoon din maranasan ng baby ko. I want him to have a complete family. So [my partner and I] decided to get married after I gave birth. Noong nakita ko kasi 'yung anak ko, I know he deserves a whole family. We all do." Zana, 25, is a nurse from Frimley Park Health NHS Foundation Trust in London and has a two-year-old son. She tied the knot with her partner just last November, too. "It was love at first sight for me and my partner. When I first saw him, I could not contain myself. I had giddy knees and sweaty palms. We started dating late 2013 and have been inseparable since then. Even before our son came to our lives, we were already planning to get married. But I think God had a different plan. [I got pregnant.] We had to delay the wedding, though, because of my application [to move to] the U.K. We strongly believe in the sanctity of marriage, and that is why we decided to receive the blessing from God. Of course, our son is also a big deciding factor. We wanted him to grow in a family where God is the ultimate center." Frances Celine Buenaventura-Sykioco, 26, is a stakeholder communications staff at Northern Cement Corporation. She married her partner after they first got pregnant. "My case is different—I and my now-husband decided to get married when I got pregnant with only two months of preparation. Everything went according to plan, but then unfortunately, I had a miscarriage. 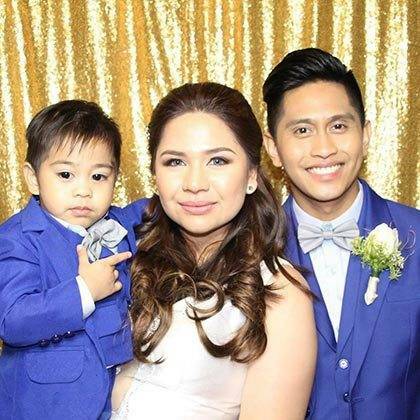 We still decided to pursue our wedding because despite the unfortunate event, with or without our child, our love for each other became greater, and we were more than willing to have a family together. 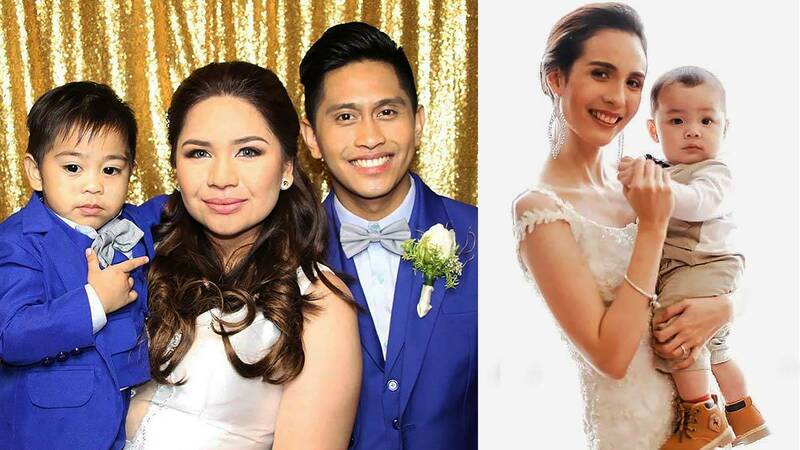 After our wedding, we were blessed with another baby, and now I'm eight months pregnant!" 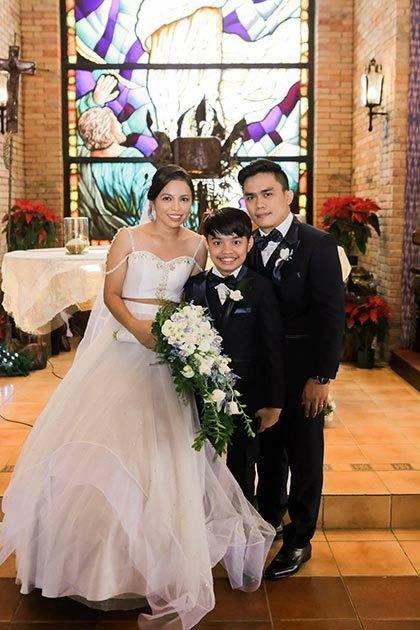 Clarissa Rebulanan, 31, is a third-year college student at Rizal Technological University and has a 13-year-old son. She and her partner will be celebrating their second wedding anniversary in December. "I got pregnant when I was 18 years old, after being in a relationship for three years. At first, we really didn't want to get married just because I got pregnant. We were still so young at the time, and [we needed more time to learn how to trust, respect, and care for each other first.] We had numerous fights that made me feel thankful that I didn't marry him yet, hehe! But after those fights, we got to know each other well, learned from our own mistakes, cared for one another, and loved each other more and more every day. 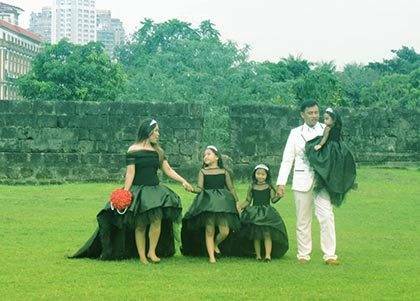 And after 11 years since I gave birth, we both said 'I do' last December 14, 2015. It was worth the wait!" Jane Sta. 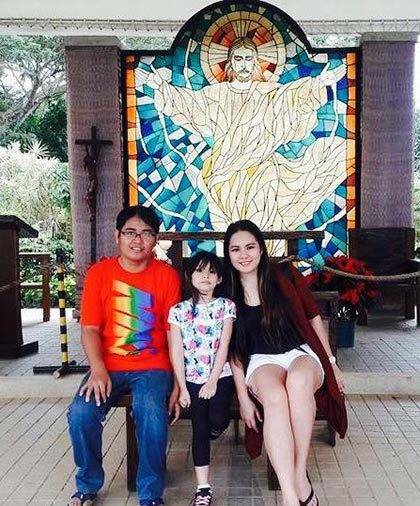 Maria, 30, is a casino dealer at Solaire Resort and has a six-year-old daughter. She is currently preparing for her wedding next year. "When [my partner and I] met each other in 2000, I knew that we liked each other but there was no chance to be together because we were so young. After finishing high school, we entered the same university. He was one year ahead, and at the time, my first boyfriend was his best friend's brother. When we both finished college, we met again and start dating. But we later ended our two-year relationship because of immaturity. After 2011, we reconciled and had a baby, but I didn't believe in marriage. As years went by, I [realized that] he is my soul mate—I can't even sleep well without him by my side. So recently, we asked God if it's the right time for us, and things followed." Jermine Jaurigue, 26, is a full-time mom to three beautiful girls. She's been an online seller since 2008 and stopped by 2015. 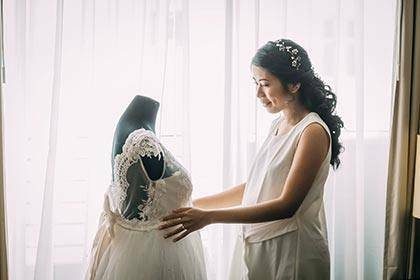 She plans to run an online business again after her wedding to her partner in 2018. "I got pregnant at a very young age—I was only 17 then. My now-fiancé tried to propose to me many times for nine years pero hindi ko pa talaga naiisip na gawin noon, e. Kasi, when I got pregnant, hindi ko pa siya mahal. Nakakahiya pero I got pregnant na hindi kami in a relationship. He was just a suitor that time. 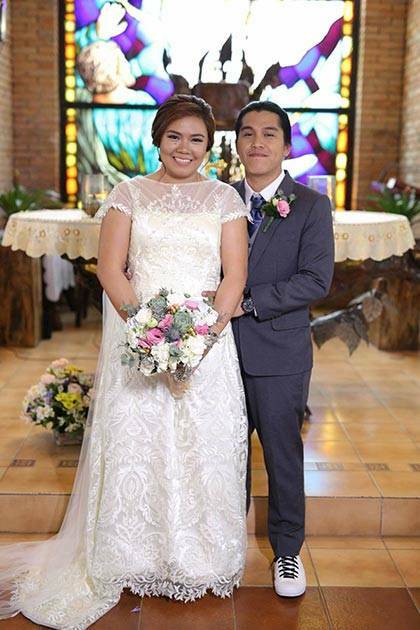 Pero ngayon, [after his fourth proposal,] I finally said yes because now, I know that I can say 'I do' in front of the altar without lying that I really love him 100 percent." Mariella Lao, 25, is a web designer at Summit Media and has a two-year-old son. She is still with her partner/the father of her child, and they do plan to get married some day. "I want to get married when I'm 100 percent ready. I know I have to be responsible for my child, and that's the reason I decided to postpone the wedding. It doesn't mean naman na I don't put God in the center of our relationship because He always is. I just don't want to force things to happen because the experience will feel contrived. We both decided to prepare financially and mentally and get it done at a date we'll set." Vicjen Sanchez, 32, is a recruitment supervisor at GM Global Business Services. She has an 11-year-old daughter and a nine-year-old son. She is a single mom. 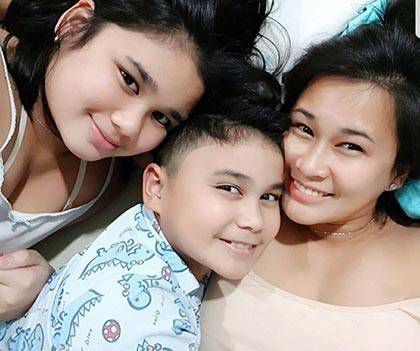 "I am the only one supporting my kids, and I am a hands-on mom—all while I am working, studying, and minsan taking care of a small buy-and-sell business for extra income. So ‘yung [free] time ko is binibigay ko sa kids ko na lang. I always think about their future and how I can provide or continue supporting them. Masarap magkaroon ng partner, because may support akong nakukuha, but it's not easy. Kadalasan, wala na akong time for dates or surprises. I can't really say na I don't have plans of getting married but let's just say, hindi ko lang siya priority for now." Aurora (not her real name), 26, a registered nurse in a tertiary hospital and has a 20-month-old baby boy. She wishes to remain anonymous since only her family and close friends know that she's already a mom. She is still with her partner, who is also the father of her child. "My pregnancy was a complete surprise. We've been together for eight years, but we didn't want to rush into anything. We are adult professionals with tenured jobs and stable income, but we decided not to get married. I have chosen to wholly focus on the pregnancy instead of satisfying people offering unsolicited advice and placing undue pressure on my would-be marriage. If and when I do decide to get married, it will be for myself, my partner, and our baby—and definitely not to please anyone else. Rest assured, my son receives every ounce of love he deserves contrary to the primitive belief that he will be deprived the warmth and security of a family just because we are not yet married. Being a responsible parent can be overwhelming so I'm committing to one lifelong obligation at a time. And I don't see why other people should have a say on that just because our culture has this irrational stigma on getting pregnant out of wedlock."